Any version of Windows will do, starting with Windows 98. It is well tested up to and including Windows 7, please let us know of any problems with Windows 8 or 10. Any version of .NET will do, starting with version 2.0. You probably already have .NET installed on your PC and don't even know it. 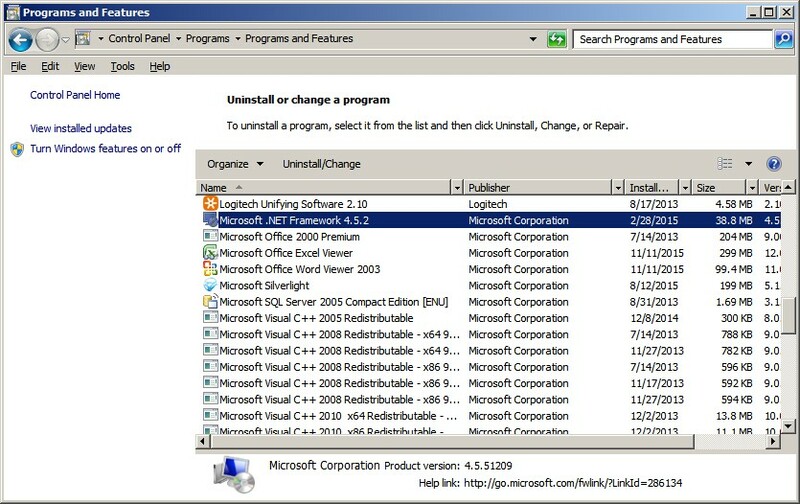 To check, go to the Control Panel and select Uninstall a Program, then check to see if there is a listing for Microsoft .NET. If it's not there, download the latest version from this link. Optionally, an XML guide data scraper, such as the Free MSN XMLTV Scraper may be used. You will need a networked ReplayTV unit, such as an RTV4xxx, RTV45xx, RTV5xxx and RTV55xx unit. Older models were dial-up only. At the very least, you will need a router to connect your ReplayTV unit and the computer that will be running WiRNS to the internet, but it is also a good idea to have a network switch on the network too. Poopli - create a free account to share shows with other Replayers. DVArchive - a great system for managing downloaded content. You can download "WiRNS 3.0 Final release" from the following link. Don't worry if you get a warning like "WiRNS.3.0.0.0.msi is not commonly downloaded and could be dangerous", this is nothing to worry about, and you should select "keep". One key point when installing WiRNS, you will see a "Test Port 80" button, you must use this to test if Port 80 is clear (you don't need to know what Port 80 is, just that it's clear). In most cases it will be clear, but if it isn't, you can add a second IP address to your computer and then use that for WiRNS. The process is not difficult and is explained here.